Yesterday we told you that WhatsApp has confirmed that it’s bringing back the old text based status to the app. We also told you that the old text based status will be first rolled out to Android users starting next week and will then be rolled to those on iPhone. Well, it looks like the company has started the roll out ahead of schedule as the old text based status is already showing up to users on the stable version of the Android app. 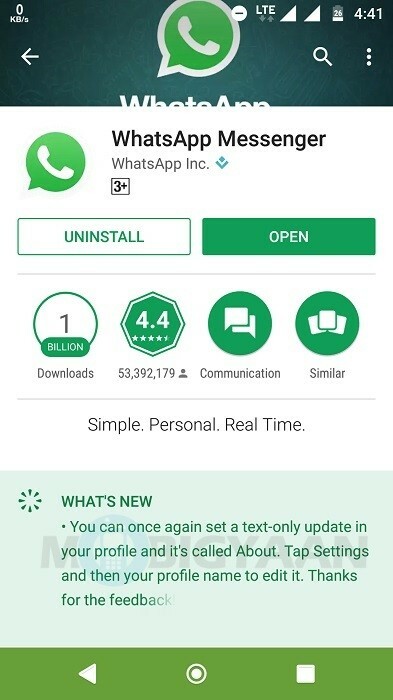 One of our readers has sent us the screenshots saying that he is seeing the old text based status on WhatsApp’s stable version 2.17.107 for Android. Our reader also confirmed that the UI is similar to the one we saw on beta version 2.17.95. He also further confirmed that the text based status is now renamed to ‘About’, something which have been seeing for quite some time now on the beta channel. Having said that, this update doesn’t seem to have rolled out to many users yet. Even we at MobiGyaan are on version 2.17.79 and don’t see any update available on the Play Store at the time of writing this. However, we hope that the roll out will be completed by the end of next week for Android users. 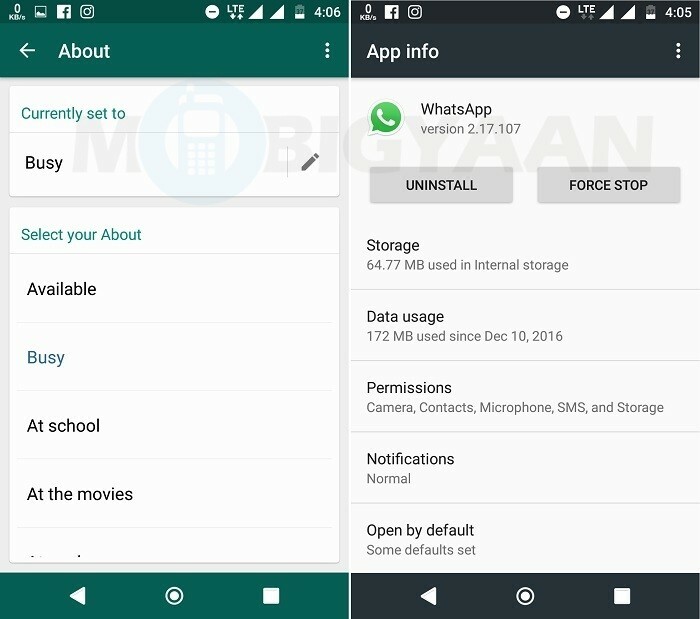 If you are on version 2.17.107 of WhatsApp for Android, you can go to the Settings menu and tap on your profile to set a text based status like you did before. Here’s how you can do it. Also, like we said, the text based status is currently only rolling out to Android users. iPhone users will have to wait for some time. Have you received the old text based status on WhatsApp yet ? Thanks for the tip Ajay.